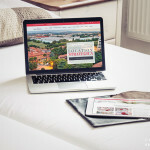 Portugal! What an amazing experience! 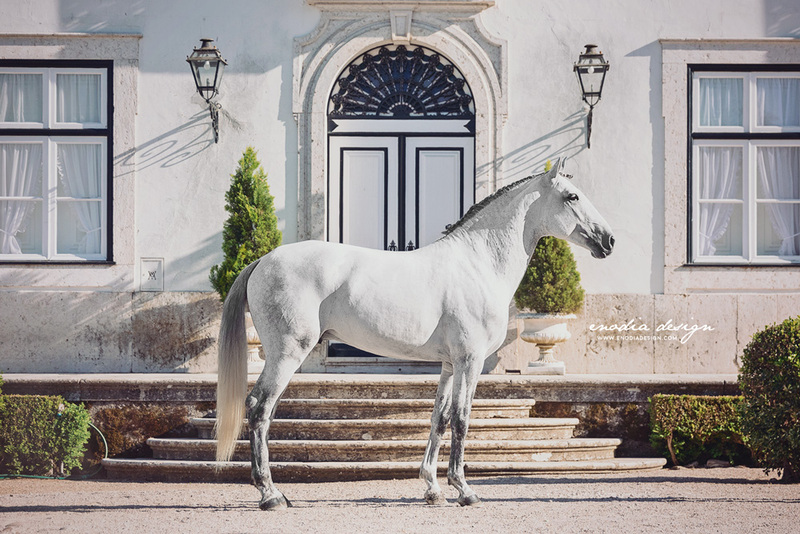 At the beginning of this year I decided to participate to the Photo Workshop organized in April by Lusitano World and led by the worldwide famous photographer Rita Fernandes, to enhance my equestrian photography skills. 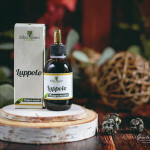 I knew already there would have been fantastic photographers and many opportunities to consults each others and daily show and discuss about our photo shooting results… being a very shy and self aware person, all that wouldn’t have been easy for me! 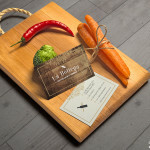 But Workshop organizers and the other participants were all so nice and friendly that I can only recall marvelous moments and so much fun, laughs and unbelievably stunning photographic opportunities that have made this Workshop a once-in-a-lifetime experience. 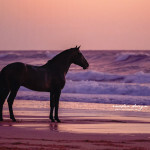 I will never forget those moments, from the magnificent six stallions at the ocean shore during the sunset to the International rider Manuel Borba Veiga riding his mare Bailarina in a field in full bloom, the Centro Equestre da Lezìria Grande horses and riders performing high-school exercises, and all the stallions at liberty or the mares and foals in their huge pastures, running freely. If it was possible, I wish I could go back in time, restart this experience and live all those magic moments again! Meanwhile, enjoy some of the photos I took. 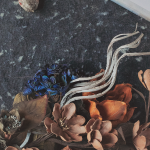 I shoot something like 15.000+ pics, so this is just a tiny little part of them. 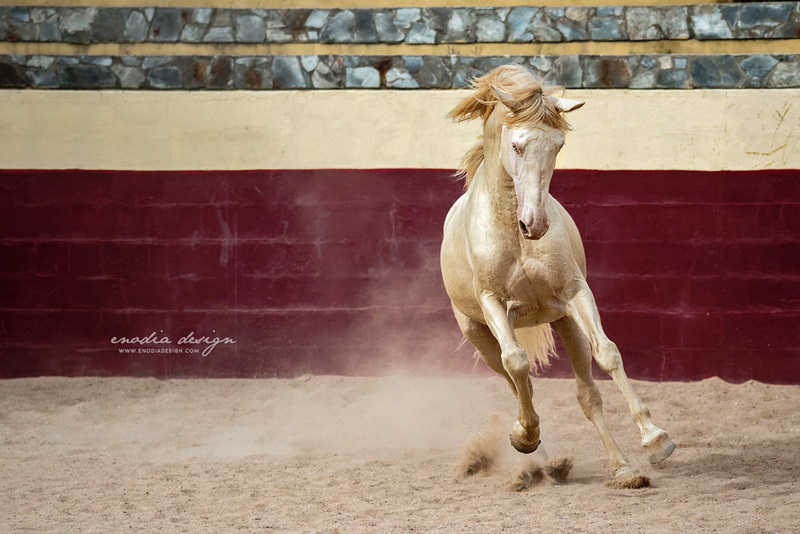 All the pictures are taken by me, during Lusitano World‘s Photo Workshop with Rita Fernandes. You’re never too old to believe in your dreams… and unicorns. 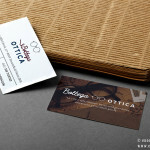 They exist, believe me, I’ve taken photos of one of them! 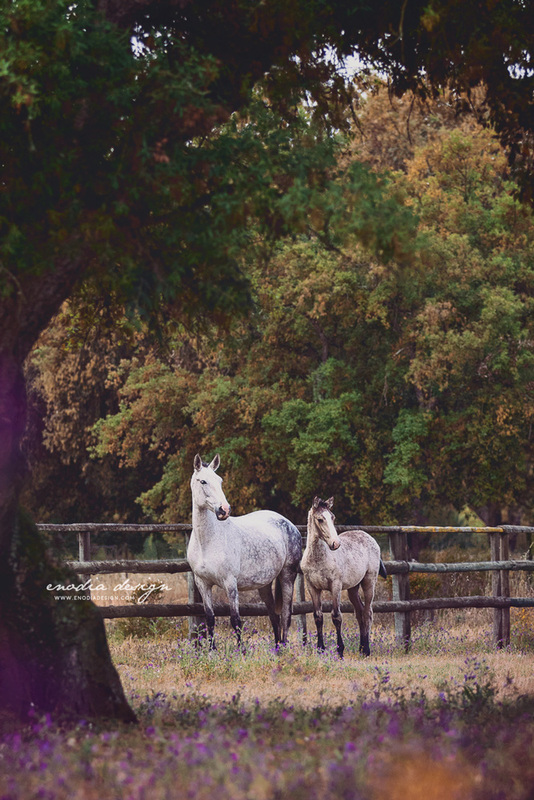 Photo taken during Lusitano World’s Photo Workshop with Rita Fernandes, at the Centro Equestre Leziria Grande. An amazing rider of Centro Equestre Celg performing canter pirouette, one of the exercise I love most (and not able to do it, YET ;-) ). 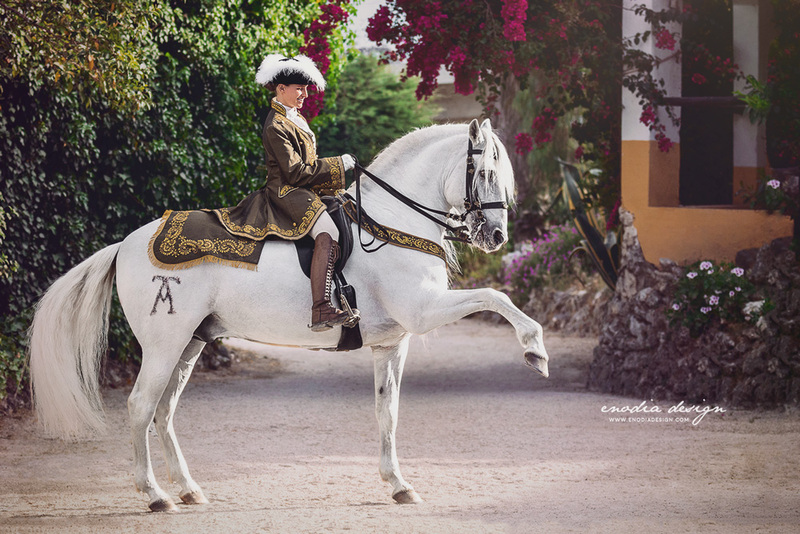 Another handsome stallion and his skillful rider performing a jambette, in the blooming garden of Centro Equestre Celg. 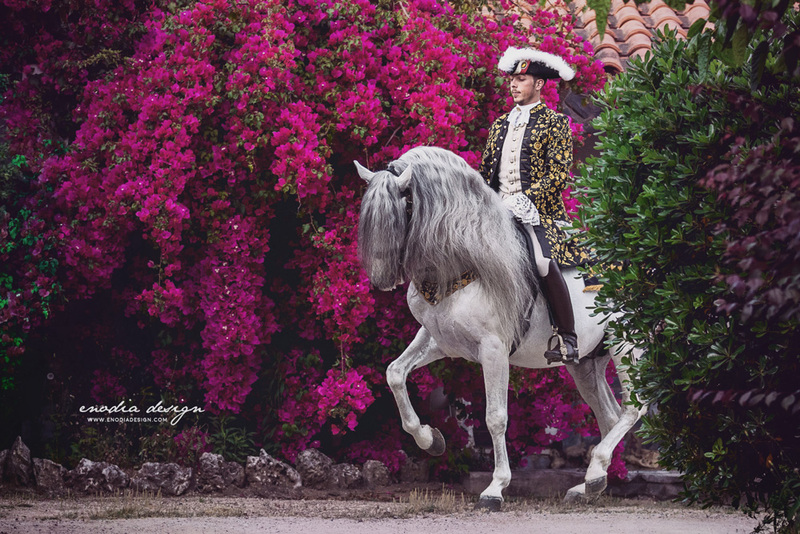 Classical Dressage is one of my greatest passion and having the opportunity to photograph amazing riders performing high school exercises with handsome stallions and costumes, in an enchanting garden, in full bloom, was a dream I had for a long time. 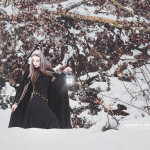 This is one of my favorite photoshooting so far. 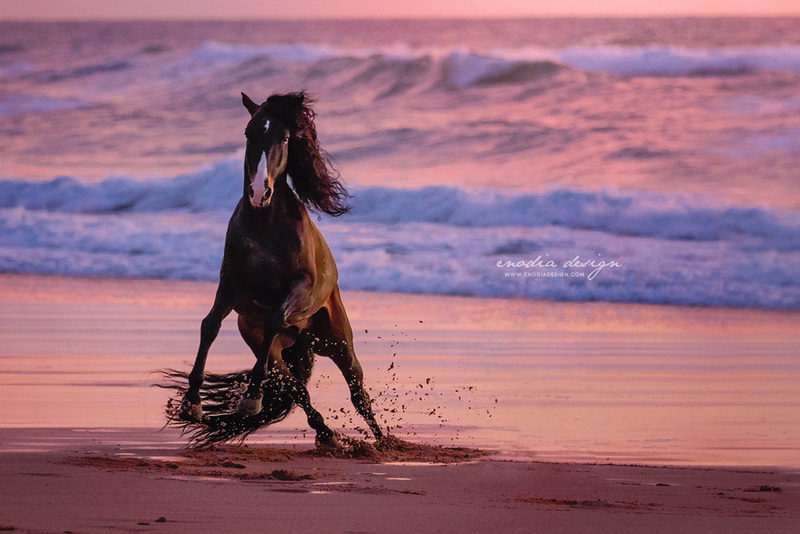 I mean, who wouldn’t love to photograph six stallions at the beach, with golden hour light? 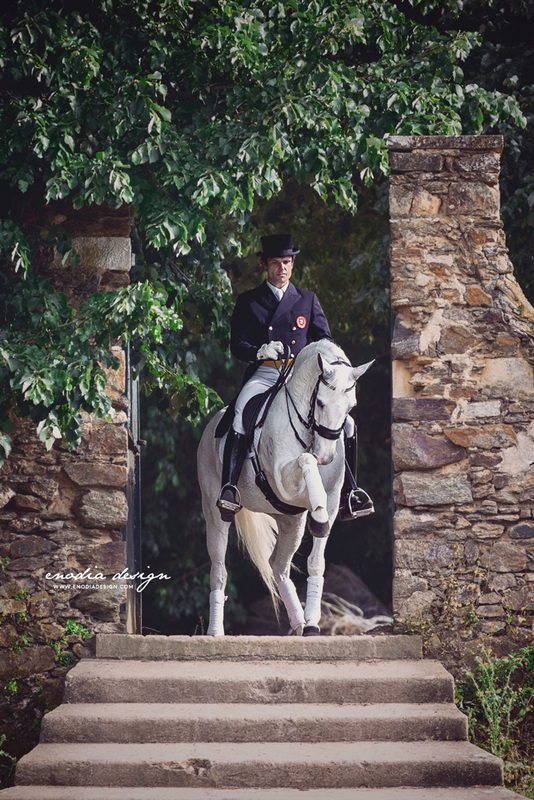 In this photo, Frederico Peres and his stallion Duque. 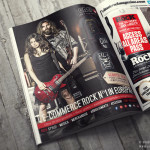 Thanks Lusitano World and Rita Fernandes for this chance! 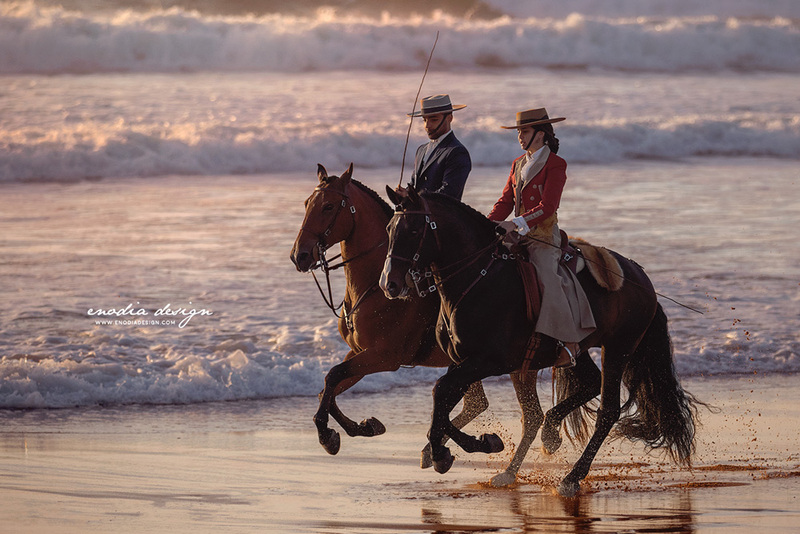 Frederico Peres and Nicole Silva with their handsome stallions, Duque and Dandy, cantering by the shore. What a sight! 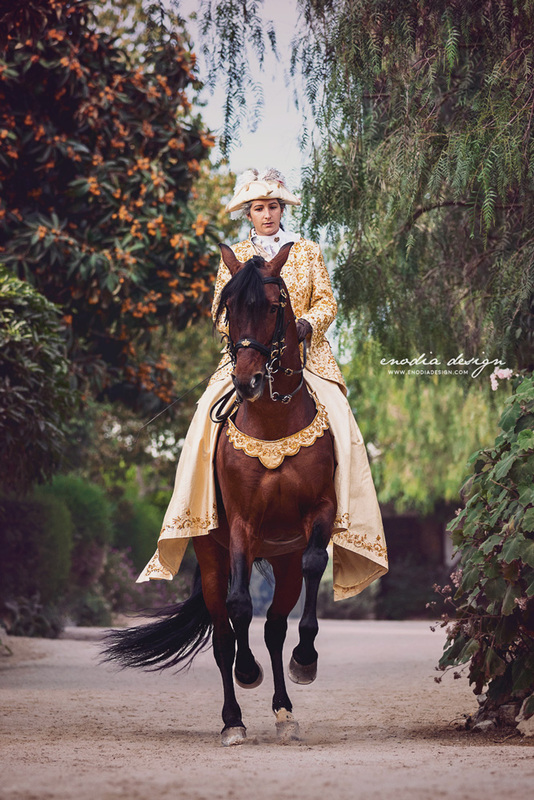 Working equitation is another discipline I particularly love as it requires very skillful riders and horses. 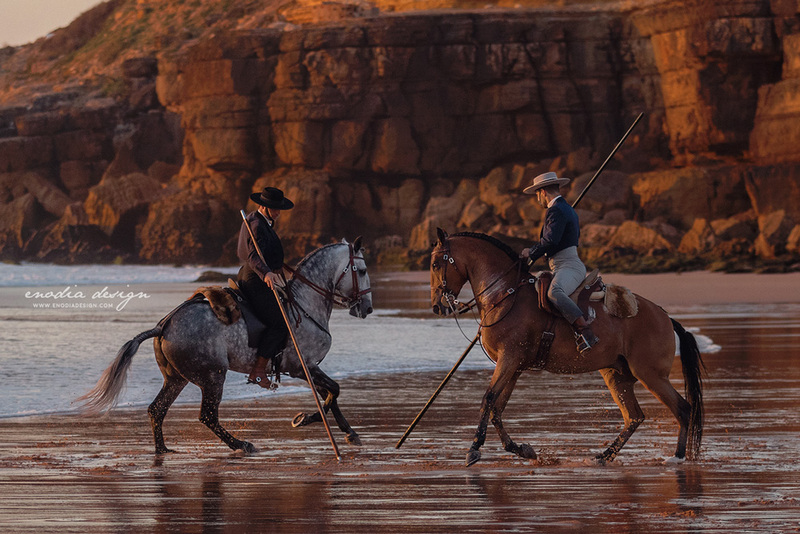 In this photo, Frederico Peres and João Duarte Amaro Rafael were performing an amazing garrocha display with their Lusitano stallions. 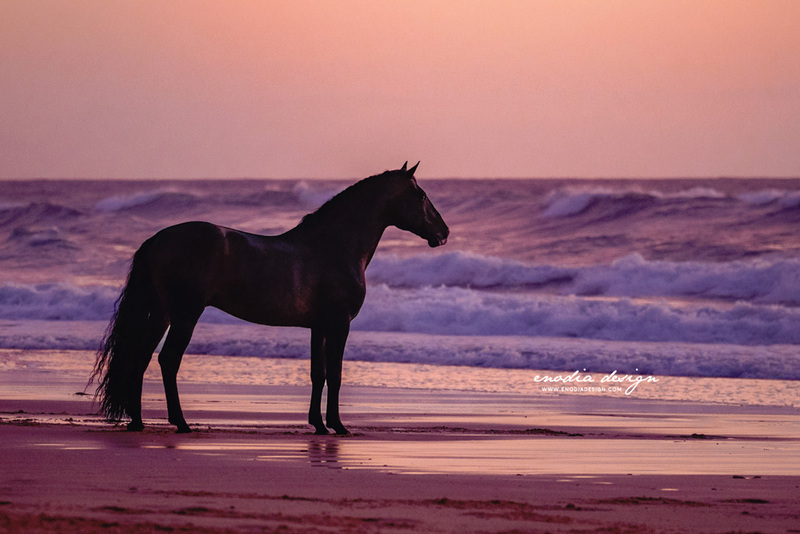 Golden hour, ocean and an amazing Lusitano stallion to photograph… what else could I ask for?! 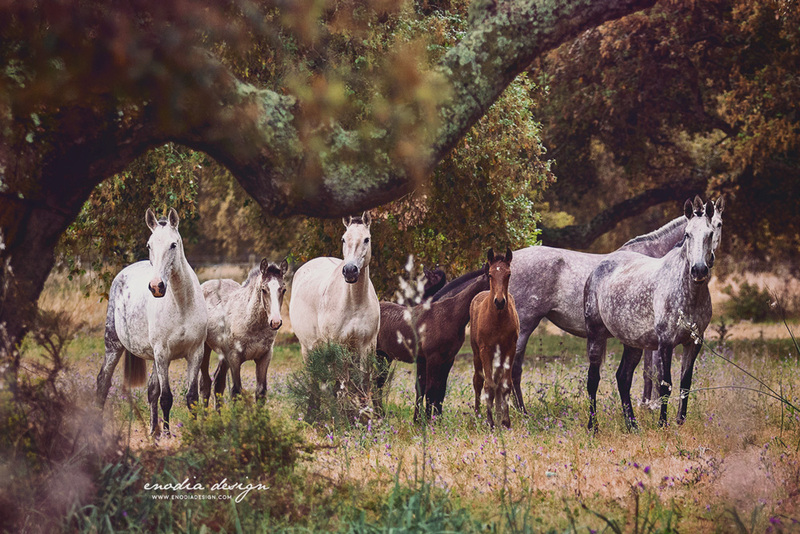 Photo taken during Lusitano World’s Photo Workshop with Rita Fernandes. Sometimes, taking photos feels like you were living in a dream. Does it happen to you too? 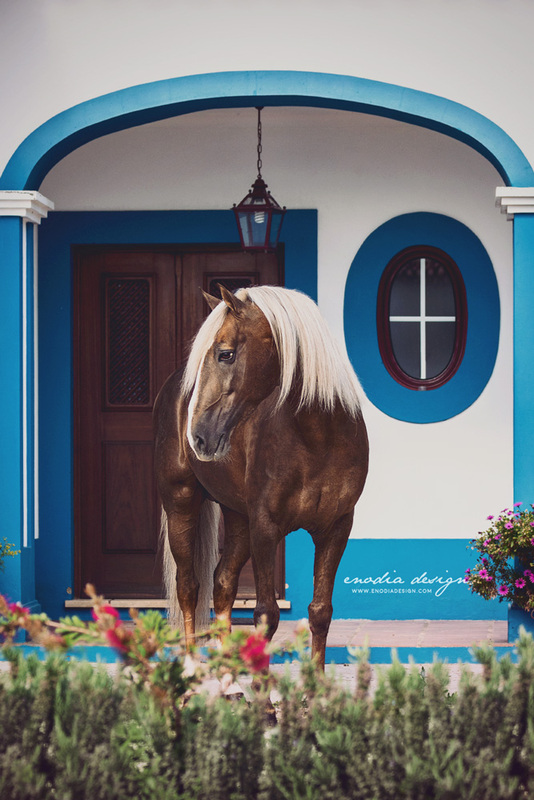 Photos taken during Lusitano World’s Photo Workshop with Rita Fernandes. 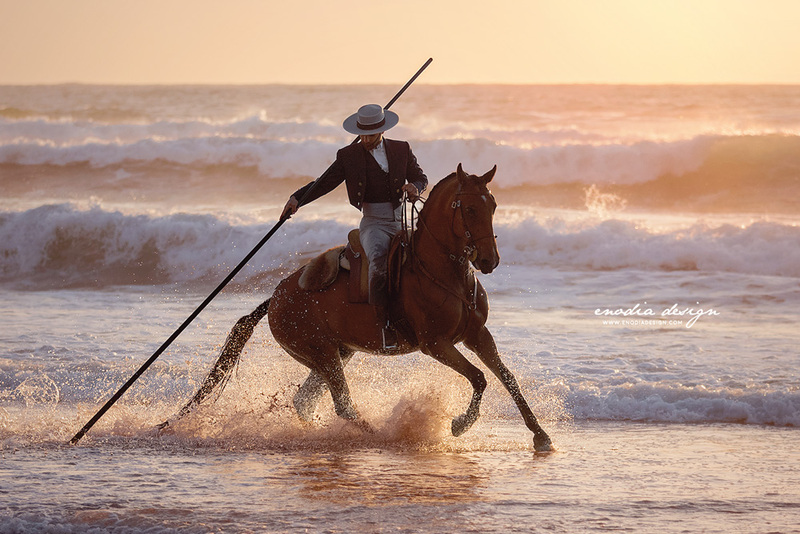 During the Photo Workshop in Portugal, we also had the opportunity to visit the Coudelaria Manuel Tavares Veiga and to photograph, not only extraordinary horses, but also the amazing rider Manuel Borba Veiga, here performing a superbe piaffe with his mare Bailarina! I simply adored that moment, it was real fun! 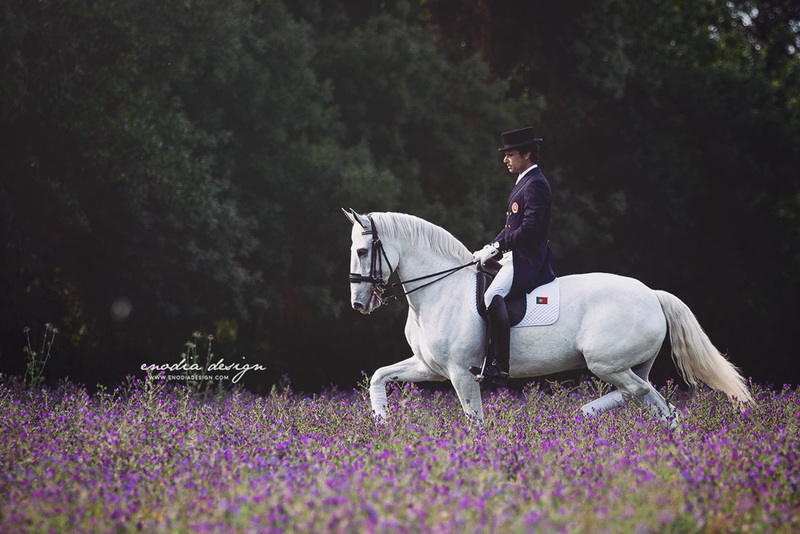 You’ll never guess just looking at the photo, but Manuel Borba Veiga was riding for us his mare Bailarina in a field full of flowers and… free young stallions! Yes, that’s true, the field was, in reality, the pasture of some of the youngest males of the Stud. 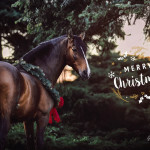 What it means having well behaved and balanced horses, eh?! 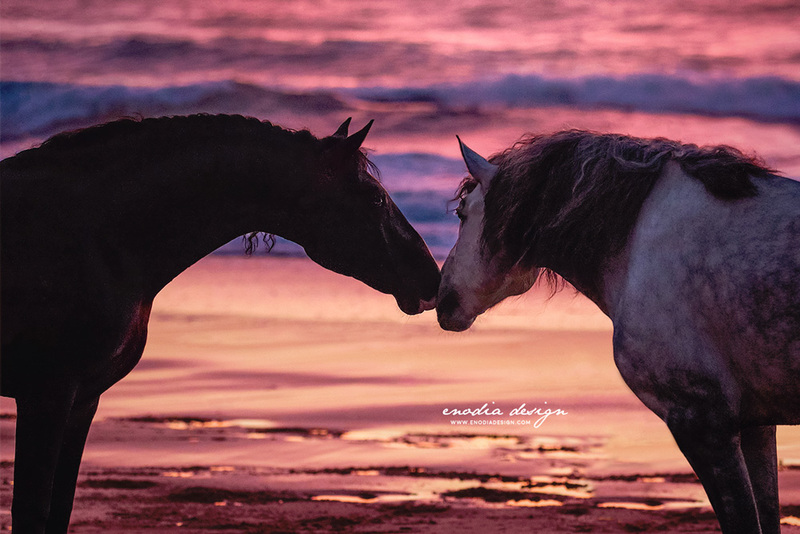 Say “Hello” to Manuel and Bailarina! 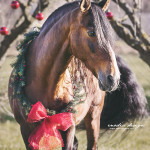 The handsome stallion Impulsivo da Broa. 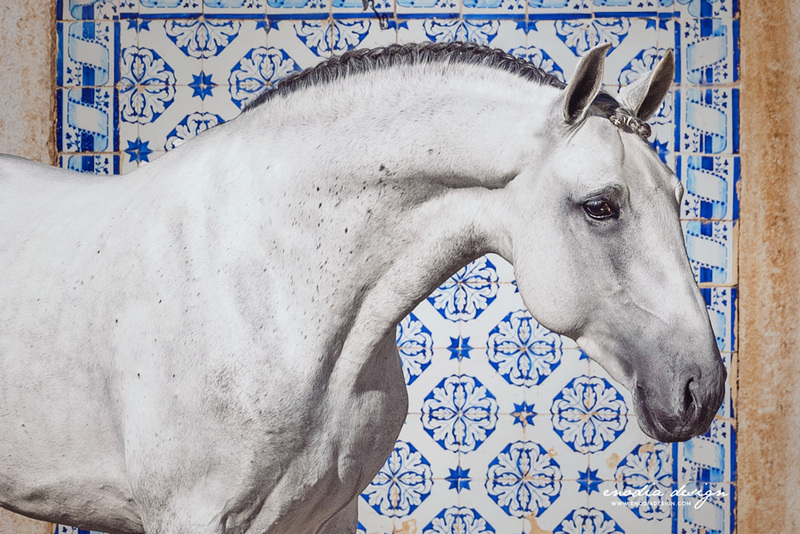 One of the Manuel Borba Veiga’s magnificent horses we had the chance to photograph. 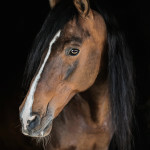 Another shoot of the handsome stallion Impulsivo da Broa. This guy has such an elegant presence, a true beauty! 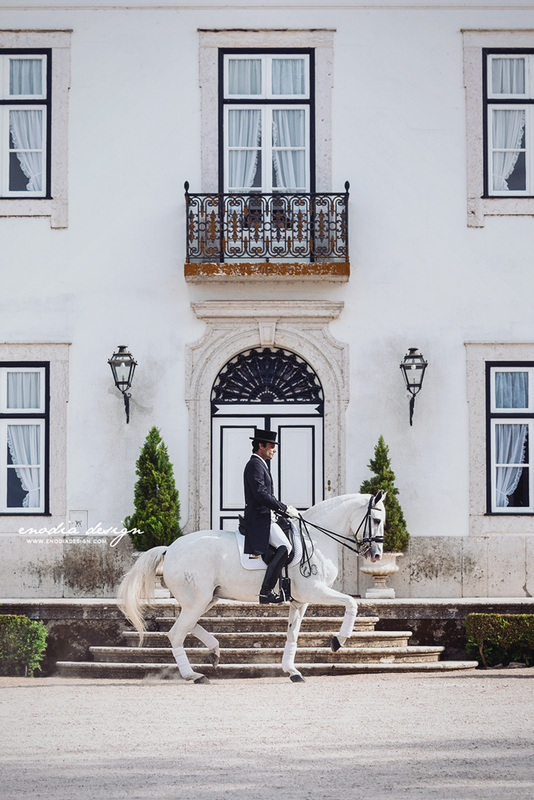 Ana Batista’s Lusitano stallion, Biscoito, framed in the typical Portuguese architecture. 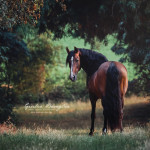 How I loved this horse, such an eye catcher! Every time I browse through photos I took of him, I hardly stop myself from publish them all! 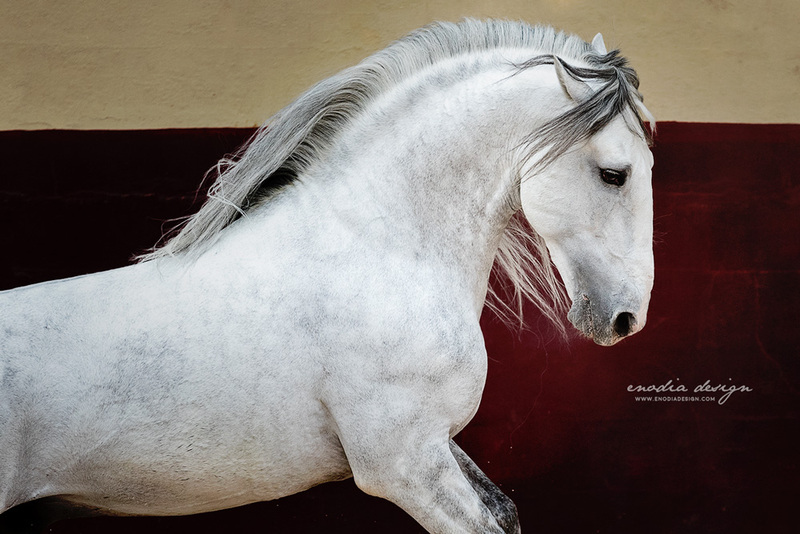 Photo taken during Lusitano World’s Workshop with Rita Fernandes at the Coudelaria Companhia das Lezírias. 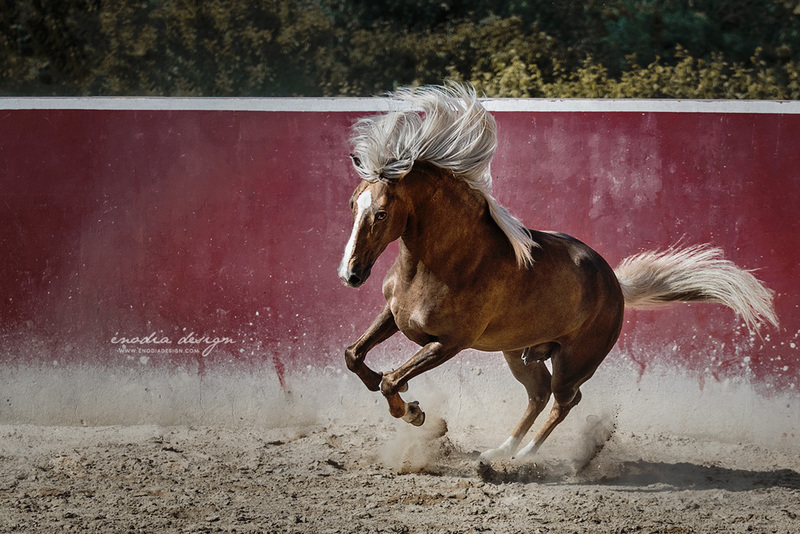 Photo taken during Lusitano World’s Photo Workshop with Rita Fernandes at the Coudelaria Companhia das Lezírias. 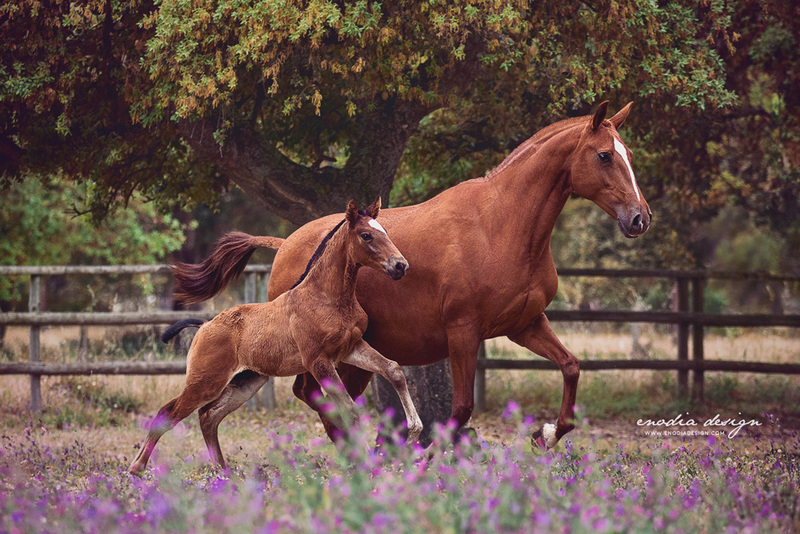 Basófia da lezírias and her super cute foal!